There is an oft-cited estimate that the British hedgehog population was about 36.5 million in the late 1950s. This is an extrapolation, based on the amount of suitable hog habitat, of the hedgehog density of one per acre that Maurice Burton gave in The Hedgehog. Basically, this is a very rough multiplication based on an even rougher guess and most biologists consider it is a substantial overestimate. The most recent attempt to estimate the UK hedgehog population was published in 1995 and arrived at a figure of 1,555,000, based on what we knew about hedgehog abundance in various habitat types: 1.1 million in England; 310 thousand in Scotland; and 145 thousand in Wales. This figure of 1.55 million is much more statistically robust than that based on Burton’s estimate, but it is still based on very limited data. Comparing this 1.55 million figure against 36.5 million in the 1950s suggests a catastrophic decline of some 95%, but it very unlikely to paint an accurate picture. Arguably it doesn’t really matter, because it shouldn’t take stark figures of decline to drive us to conserve a species; but it can make conservation planning more complex. The 2015 State of Britain’s Hedgehogs report, published by the British Hedgehog Preservation Society and the Peoples’ Trust for Endangered Species, suggested that the British hog population probably stood at fewer than a million animals in 2010. There have been no more recent attempts to estimate the national population, but the 2015 report suggests that it has continued to decline; overall, down at least 30% in urban areas and 50% in rural areas since 2000. The most recent report, published in January 2018, notes a continued decline in rural hedgehog road casualties into 2017, while suggesting urban distribution may be changing, with fewer areas recording hedgehogs in 2017 vs. 2014, but more hedgehog seen in those areas where they were recorded. 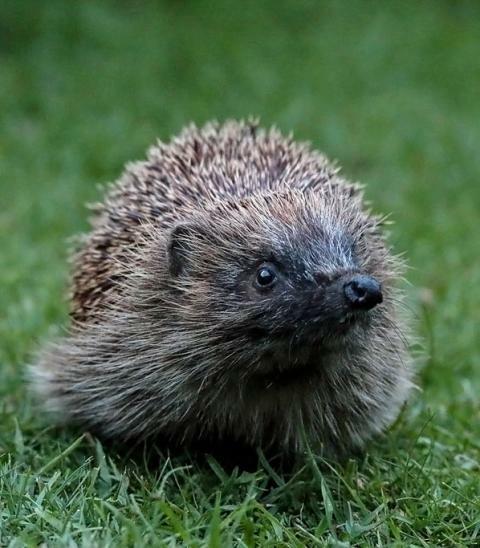 In a review of mammal trends based on survey data, published in British Wildlife during 2016, David Wembridge and Steve Langton note that Britain’s hedgehog population has declined by 3.12% per year since 2003 in urban areas. Despite apparent declines, hedgehogs are still fairly widespread and can be locally abundant. In their chapter for the 2008 Mammals of the British Isles handbook, Pat Morris and Nigel Reeve note that the overall abundance of hedgehogs varies considerably according to habitat. In mixed farmland and pasture, densities range from 0.21 to 1.23 hogs per hectare, while suburban densities tend to be higher, between 0.83 and 1.79 per hectare. Using data from the Randomised Badger Culling Trial, a team led by Richard Young at the Durrell Wildlife Conservation Trust estimated that hedgehog density ranged from 0.09 per hectare (i.e. one hog per 11 hectares) in pasture to 1.5 per hectare in amenity grasslands. Various tracking studies have shown that hedgehogs seem to avoid arable and woodland habitats, such that densities are significantly lower in these habitats. Tracking studies by Gorgen Göransson at Sweden’s Kalmar University have emphasized the importance of waste ground and lawns to hedgehogs during the summertime, owing to the abundance of Scarabeidae beetles on lawns between June and July. Indeed, a study looking at the abundance of hedgehogs in Oxford by a group of biologists at the city’s university found that hedgehogs were almost six-times more abundant on mown grass playing fields than on pasture, four per field compared with fewer than one per field, owing to the greater abundance of prey items. The same paper found that food distribution and, more importantly, predator (largely badger) territories combined to regulate the abundance of hedgehogs, while isolation from other populations serve to exclude hedgehogs from otherwise suitable sites. A similar paper to the same journal (Journal of Animal Ecology) reported that the Oxford hedgehogs showed strong attraction to edge habitats, which act as corridors for dispersal, and tended to avoid arable areas in favour of urban sites. A study of hedgehog distribution at 68 sites in four regions of west and south-west England (Cornwall, Devon, Gloucestershire and Herefordshire) during the summer of 2006 by Dave Parrott and colleagues found that hedgehog densities were about ten-times higher on amenity grasslands than on surrounding pasture. Indeed, in a paper to the European Journal of Wildlife Research in 2017, Carly Pettett and her colleagues at Oxford University report that amenity grassland was highly valued by hedgehogs in their study, with the most frequently used foraging habitat at one of their sites in Yorkshire a mowed strip of grass in the centre of an arable field used for flying model aircraft. Finally, data collected by Université de Reims Champagne-Ardenne biologist Pauline Hubert and colleagues in the Ardennes region of north eastern France found hedgehog densities were almost nine-times higher in urban areas compared to rural sites. Their analysis, published in Landscape and Urban Planning in 2011, suggests the amount of pet food left out for the hedgehogs and fewer badgers in urban areas accounted for the difference in density. More recently, using data collected during the Mammals of the Road survey between 2001 and 2011, a team of biologists at the University of Oxford, led by Pettett, compared the distribution of hedgehogs, badgers and foxes across the UK. At the local scale both badgers and foxes were negatively correlated with hedgehog abundance (i.e. there were fewer hedgehogs where lots of foxes and badgers were observed). At the countrywide scale, however, only badgers appeared to be associated with fewer hedgehogs; fox numbers were broadly positively correlated with them, possibly reflecting similar habitat requirements of both. 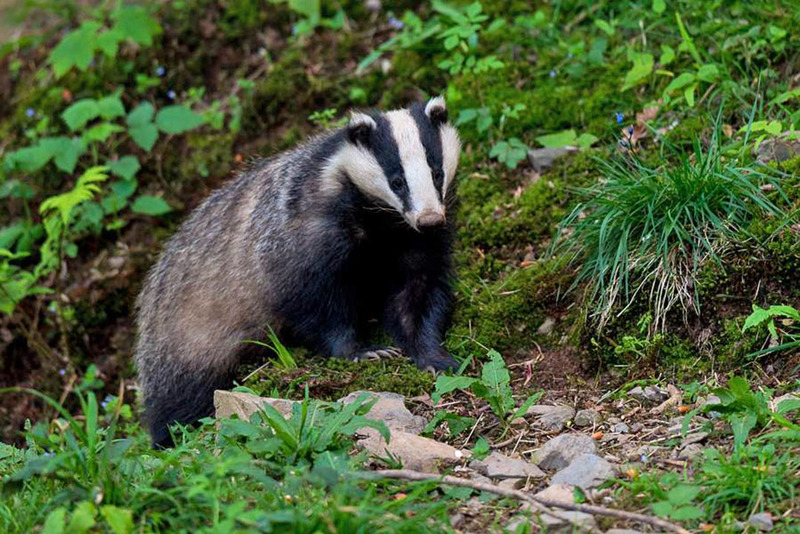 They also found some evidence that the relationship between badger presence and hedgehog numbers was more pronounced in 2011 than in 2001, perhaps, they suggest, a result of an increase in the badger population. They do, however, caution that badger numbers may not be the only factor, with habitat changes also playing a role. How few is too few? In a 2013 report to the Peoples’ Trust for Endangered Species and the British Hedgehog Preservation Society, Oxford University zoologist Tom Moorhouse presented minimum viable population (MVP) estimates for hedgehogs in both urban and rural environments. The MVP is the minimum number of animals considered necessary for the population to be self-sustaining. The rural MVP was estimated at between 120 and 250 individuals, depending on habitat, while the urban value (for gardens, playing fields and so forth) was between 32 and 60 individuals. For the population to be sustainable, however, it must be connected so hedgehogs can move in and out. 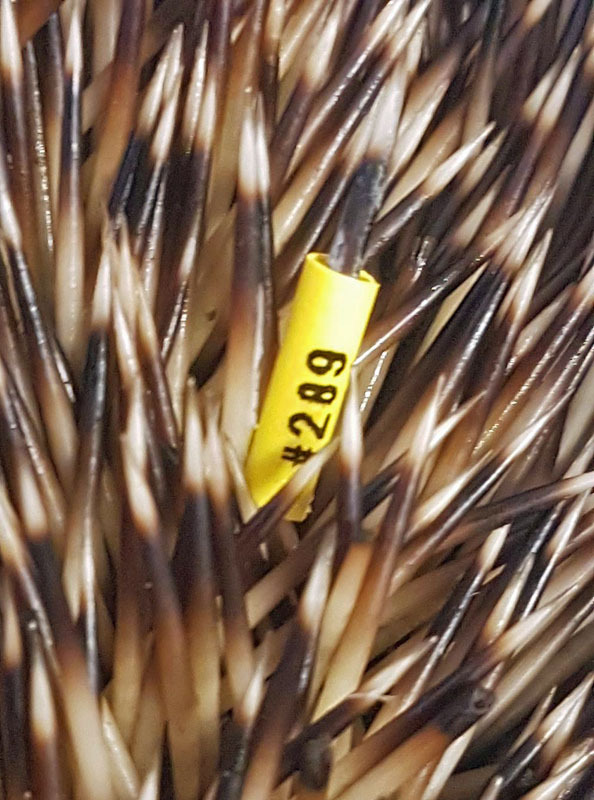 Moorhouse’s data suggest that, as a bare minimum for rural populations, this equates to 120 animals in 380 hectares of connected habitat; 32 animals in 90 hectares for urban hedgehogs. Fences, walls, roads and even badgers all serve to fragment the landscape for hedgehogs, making it increasingly unlikely these MVPs can be reached. Consequently, there has been a recent drive by the Hedgehog Street campaign to help connect gardens by cutting small, 13x13 cm (5x5 in. ), holes in fences to allow hedgehogs and other wildlife to move between them.